Zoe Jo Rae studied 3D Design & Craft BA(Hons). 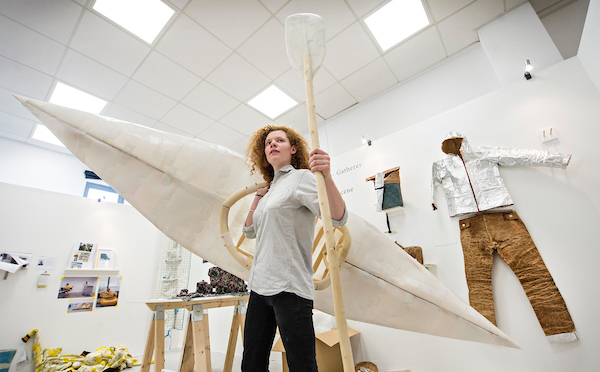 For her final project, entitled ‘Hunter Gatherer in the Anthropocene’, she created a canoe from milk bottles, as well as trousers made from flour sacks. Read more about this project and others on Zoe’s website. 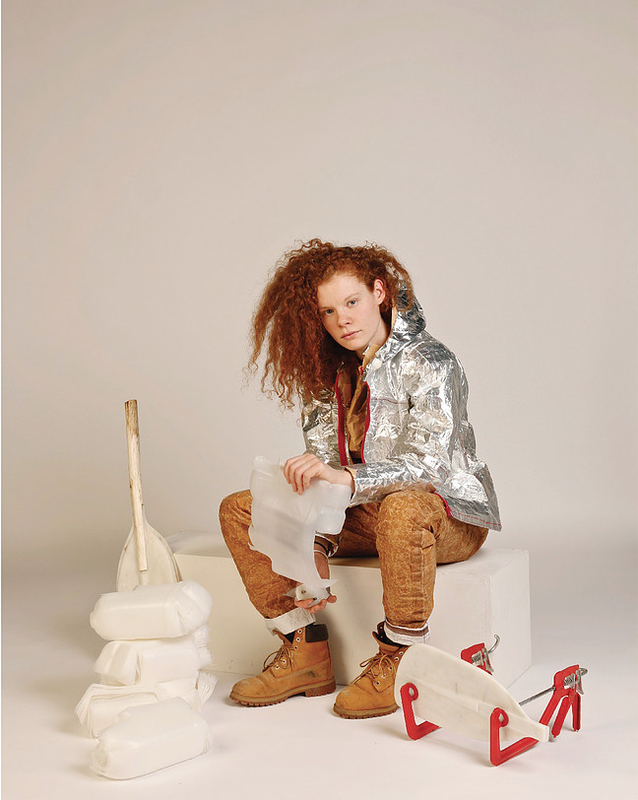 This entry was posted in Design and craft, Graduates 2017 and tagged recycling, sustainability, zoe jo rae.